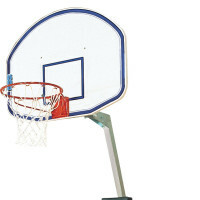 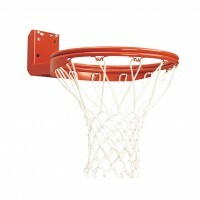 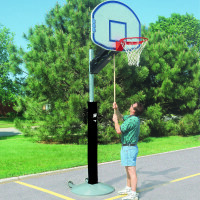 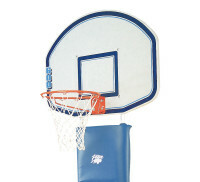 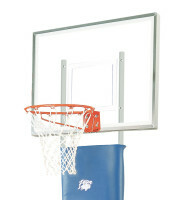 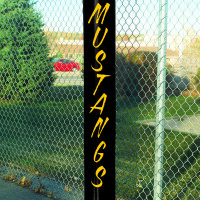 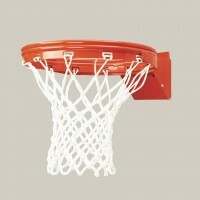 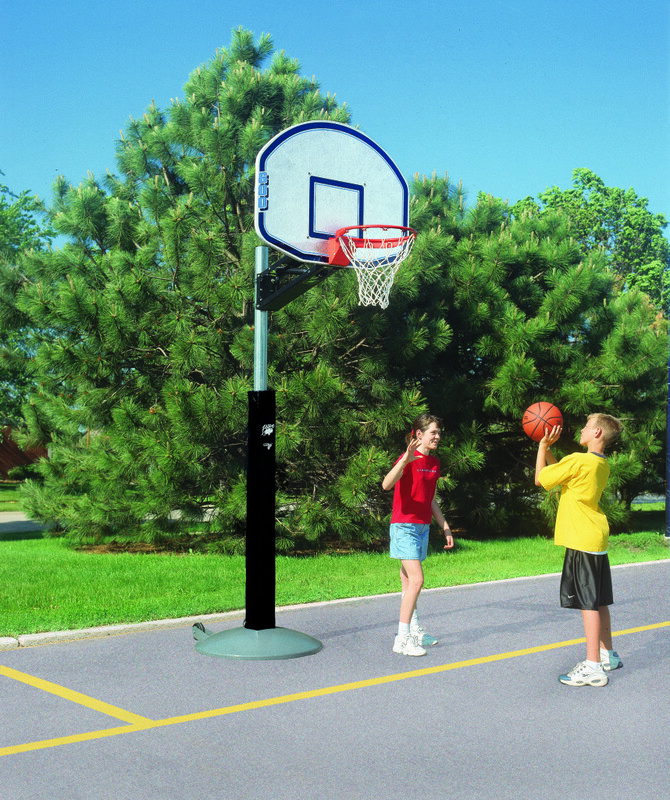 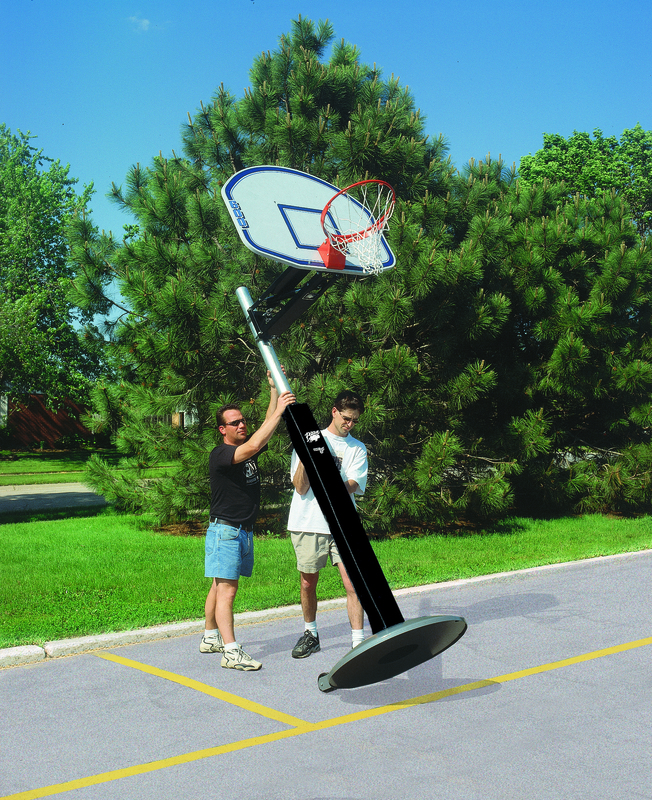 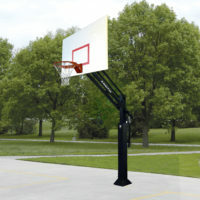 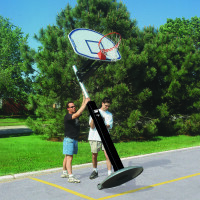 QwikChange Playground Basketball System - Bison, Inc.
Popular playground features at a popular price…Heavy galvanized 3-1/2″ steel pole • 36″ x 48″ molded graphite backboard and flex goal adjusts from 7-1/2 to 10′ in 6″ increments • QwikChange design requires only a pole to change height from the ground • Choose permanent in-ground or portable system • Great for camps, daycares, church parking lots or anywhere kids of all ages gather to play basketball • Order BA801BP and BA700PP for base and pole safety padding • One year limited warranty • Permanent model requires 36″ ground bury (Approx. 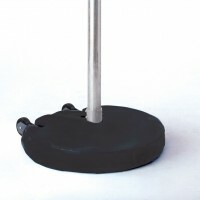 shipping weight: 165#; Truck) • Portable version, BA801, includes factory-installed 350# of ballast and built-in transport wheels (Approx. 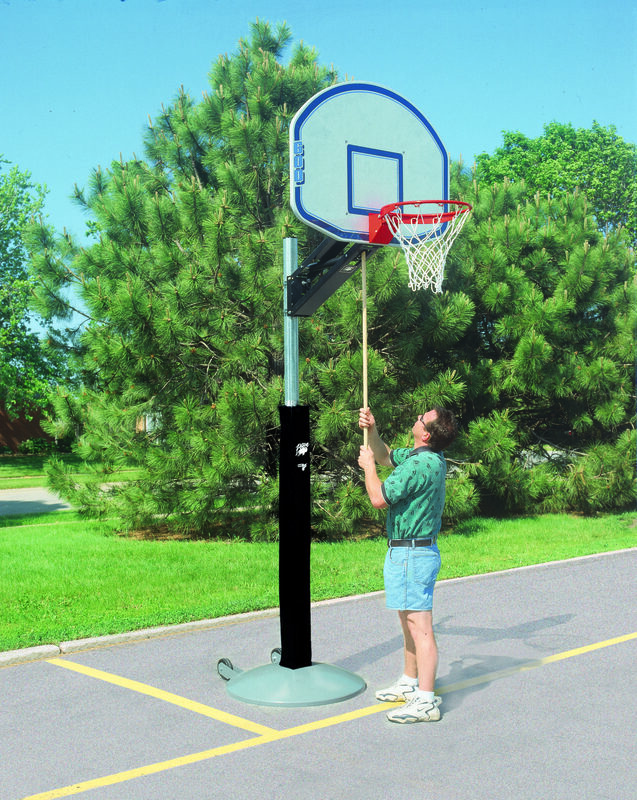 shipping weight: 450#; Truck).